Ho Chi Minh City’s leaders went around town yesterday congratulating and praising senior teachers for the National Teacher’s Day on November 20. 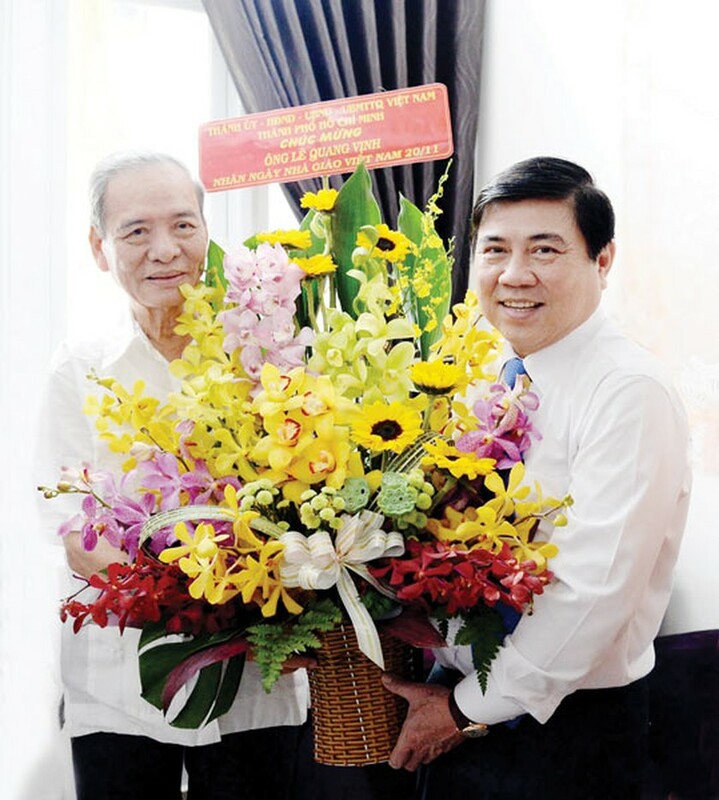 A delegation led by Chairman of People’s Committee in Ho Chi Minh City Nguyen Thanh Phong yesterday had a meeting with Professor Le Quang Vinh, former director of the municipal Department of Education and Training to express his admiration and society’s thanks for their contributions to education sector. In the meeting, Mr. Phong mentioned to the education growth, focusing on renovation, training more teachers and curriculum reduction. Currently, the People’s Committee asked the department to prepare a project with the aim of improving teaching and learning quality in the context of integration. On the same day, the delegation paid a visit to Professor Nguyen Tan Lap, who is a former director of Economy University. Once more, Mr. Phong spoke of the project for training more teachers, stressing that city leaders want to listen to senior teachers’ opinions.